The Information Technology Department is responsible for all of the City's technologies. This includes the maintenance and support of 14 facilities, 275+ computers, ipads, notebooks and mobile devices, 200+ VoIP phones, voicemail, faxing, internet, email, web development and other technology services to support approximately 200 full and part-time employees. Web Design and Development. The City's Web Development and Design Committee met monthly to discuss recommendations for layout and re-design of its pages. Main menu redesign, service launch pages, and general re-organization of commonly accessed information was completed. Municode was discussed and reviewed for a potential shift to cloud-based services. Library Enhancements: The Library completed a large transition to a new ILS System called Polaris. All current library resources and materials were imported into the new system out of FVRL system. The new system was developed and designed to meet the needs of the Camas patrons with many new features. Check it out at: https://camas.chilifresh.com/ The Library now offers checkout of Chromebooks to its patrons, which is in support of the Camas School Districts move to Chromebooks assigned to students. Security System: The Lacamas Lodge securities and cameras were enchanced as well as the system at the Police Department was replaced with new technologies. Technology Roadmap: The City's Five Year Technology Roadmap was created and is underway. AHA! software is being used for reporting and status tracking. The Roadmap features the City's technology goals and initiatives, project planning and calendar (with project milestones), and future development forecasting for prioritizing and funding. This Roadmap identifies the City's commitment to provide innovative, reliable technology resources and services to staff and citizens. Cyber Security Response Team: A Committee was formed and met throughout the year. Training and education continues and a formal response plan will be completed in 2019. Mobile Workforce: Additional development continued to enhance the City's mobile workforce plan, developing strategies to enhance, fund and implement better technologies for public works field operations, engineers, building inspectors and fire inspectors. This provides better tools for employees and improve customer service for citizens which is a goal of the Roadmap. Pagefreezer and Telemessage: Pagefreezer was selected and is used to archive the City's social media and website pages and Telemessage is in development for archiving of all text messages on City owned devices. Communications Strategic Plan: A committee was formed and began work to review communications tools used by the city, processes and procedures and the changing communications and engagement needs of the community. A Communications Strategic Plan was created to organize and improve internal and external communication strategies and improve the city's marketing, information notifications, emergency alerts and general communications to the public. The City's Public Access wireless network was extended throughout City Hall, Police Facility, Fire Marshal's Offices, Community Center. Camas-Washougal Courthouse E-Court paperless system was configured and brought online for Judges, Attorneys and Administration. 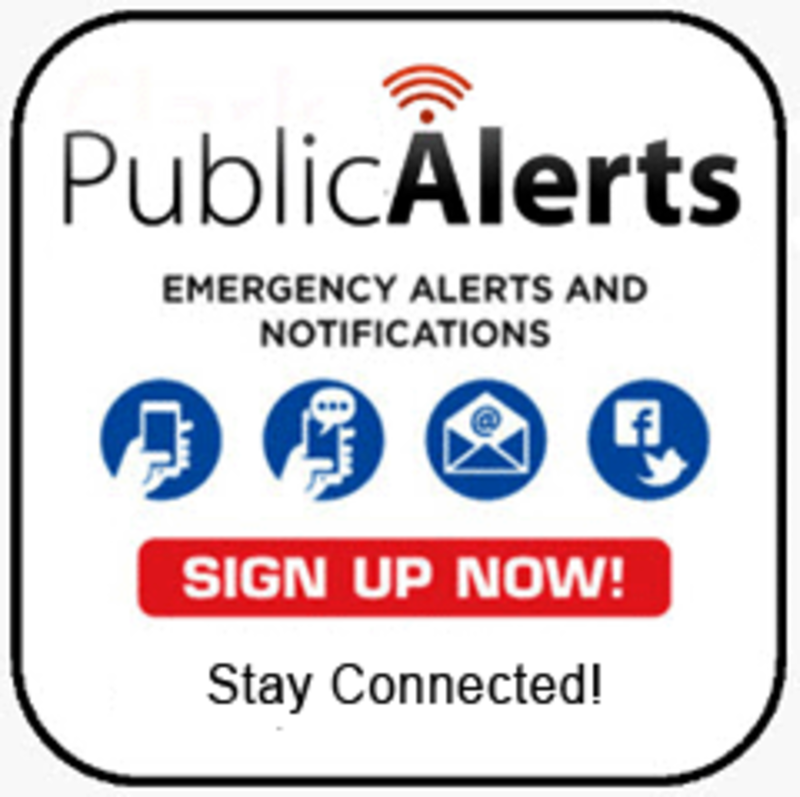 Everbridge Public Alerts Emergency Notification System was configured for the City's use as part of a nine agency CRESA regional notification system. Comprise Desktop Management System was installed for the management of the Library's public computers. AHA! Strategic Planning software was configured to monitor and report progress on the City's Strategic Plan. Pontem software was configured to provide online plot searches for the City Cemetery. Power DMS was purchased for Police Accreditation Reporting. Several lean Projects were completed which provided for the use of technology innovation, creativity and process improvements. The City's backflow reporting and procedures were reviewed and the XC2 system was selected for a 2018 implementation. Several archiving products were reviewed for archiving text messaging, social media and the City's Facebook for 2018 implementation. Exchange Upgrade: moved the City's mail services to Exchange 2016. Optimized the use of OWA for iPad to improve shared calenders and benefit from other Outlook enhancements for iPad users. Continue researching the voicemail features and integration in preparation for new phone system (2019). Office365: Established the City's Office365 environment and have pilot accounts setup and in use. Accela/Springbrook Upgrade: The City upgraded its Financial, Budgeting, Payroll, Utility Billing, Permitting systems to the current version to gain access to the most current features of the product. CRESA/911 Upgrade: The Police and Fire Emergency Services upgraded MPS to the most current versions for mobile and desktop dispatch systems. EIS Police Reporting System: The Police Department moved off of RegJIN and joined Clark County on a new reporting system. Mobile Technology Project Team: The project team continues to research and test out mobile devices for field inspectors, public works staff, and city employees. Wireless technologies: Enhanced wireless technologies were developed and introduced throughout the Public Works/Operations Center. Courthouse upgrades: The City and County worked together to add wireless technologies throughout the Camas/Washougal Municipal Courthouse for Judges, Attorneys, and other City and County employees. Web Development: Continued developing of the City's website to enhance the site's digital experience, improve information and communications to the public, and add new services and resources. Technology Use Policy: This policy has been re-written to replace the City's outdated Network Use Policy and Wireless Communication Device Policy and is intended to cover the acceptable uses of all city technologies. 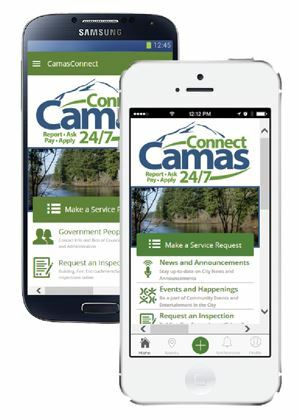 Mobile App/CRM: Continued development to the City's Citizen Relationship Management System included the addition of the City's Knowledge Base and Camas Places both in the mobile app and on the city's website. Legistar Management System: Hosting live streaming of many public meetings - and adding all public meetings such as Parks Commission, Library Board and Civil Service Agenda's and Minutes. Mobile Parking Ticket System and Springbrook Parking Ticket installation and integration with mobile technologies. Citizen Relationship Management System: Introducing a new Service Request system that integrates with the City's work order system. City Mobile App: This App hosts news alerts, highlights upcoming events, has a Service Request system to report potholes, street light outages, etc., You can register for Parks and Recreation events, pay your utility bill, and get to know your public officials.. and much more! Download the App today and stay connected with your City! Web page redesign and updates to highlight social media: ease in finding useful, well-organized citizen and community information, mobile viewing enhancements and the mobile app menu. Phone System upgrade to NEC SV8100 system, Call Analyst Reporting, and Call Q system. Lacamas Lake Lodge technologies, including networking to main systems, phones, voicemail, wifi for visitors, and the audio/video equipment. Parks & Recreation Department registration and reservation system upgrades to include new online registration and payment services. Police and Fire Department upgrade and replacement project (Windows 7) for all computers and mobile toughbooks. Springbrook new module implementations, including Employee Self Service online portal (ESS), as well as other new services and ongoing report development for V7. Fire Merger and Consolidation technologies, including Fire Station 171 (Now called Station 43) networking to City Hall and cabling project, installation of VOIP phone system, and adding all Washougal staff and volunteers to the city's network, email and payroll systems. WSTP project, networking to city hall, adding computers, storage capacity and other city resources. Police Department upgrades to Police Reporting systems and mobile devices for reporting and data access of internal reports and information. Library network upgrades to both wired and wireless environments and other printing enhancements. Desktop management software upgrades. Computer replacement project, replacing 25% of the city's obsolete computers and mobiles. Migration of Groupwise email system to Exchange platform, installation of outlook clients, user training and support. Migration of email archives to Exchange platform. Development and implementation of virtual server environment and upgrades to server room. Springbrook upgrade to Version 7, moving application to virtual server environment and onto SQL platform. Springbrook user training, report building etc. Migration of Building Permit system to Springbrook V7, configuration of system, templates and reports, and training Permit staff. Yearly review of new website to identify areas for improvement and development focus. Library review of plan for desktop management upgrade or replacement to public environment.